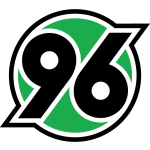 Hannover 96 vs Nurnberg predictions for this weekend’s German Bundesliga. Basement sides Hannover and Nurnberg face off at the HDI Arena on Saturday. Read on for our free betting tips and match preview. Hannover have begun 2019 as miserably as they ended 2018. Following the dismissal of Andre Breitenreiter, the North Germans were beaten 3-0 by RB Leipzig in new coach Thomas Doll’s first game in charge. Hannover are now bottom of the table – four points adrift of the relegation play-off spot and seven points behind 15th placed Augsburg and safety – and also winless in their last nine. The Reds’ star forward, Niclas Fullkrug, has been ruled out for the rest of the season too, so the pressure is mounting on pair Bobby Wood and Jonathas to start getting goals. Nurnberg are their opposition in this crucial fixture – another side struggling to get things going. Nurnberg ended their six-game losing run with a point against Bremen last weekend, but it’s been 14 games since Michael Kollner’s men recorded their last win. Nurnberg were back to losing ways during the week in the DFB Pokal 3rd Round against second-tier Hamburg too, despite naming a strong side. The return of midfielder Hanno Behrens – top scorer in their 17/18 promotion-winning season – from injury has been a boost, but the big question of ‘how are we going to stop conceding?’ remains. Saturday’s meeting between Hannover and Nurnberg sees two of the Bundesliga’s most out-of-form sides collide, so we feel the angle for this game is in the under 2.5 goals market. In terms of goals, only Nurnberg and Stuttgart (17) have scored fewer than Hannover (18), and the hosts’ numbers, in particular, have fallen drastically in recent weeks. Hannover have lost each of their last five Bundesliga matches at the HDI Arena without scoring, which is the joint longest such run in Bundesliga history – same as Cottbus in 2002/03 and Hannover in 2015/16. Nurnberg, meanwhile, have failed to score in over half of their away days this term. Focusing on the other end, Hannover and Nurnberg share the honour for the worst defensive record in the Bundesliga. However, it would be unreasonable to expect either attack to replicate the sort of numbers that other sides have inflicted on them. No team has scored fewer goals at home than Hannover (7), who also boast the worst home record in the division (W2 D1 L7), while no team has scored fewer goals on the road than Nurnberg, who hold the record as the worst travelling side (W0 D2 L7). All in all, this doesn’t look to set to be a thriller, and it’s tough to see either side getting the job done. Our prediction: a 1-1 draw. Hannover (18th) and Nürnberg (17th) are in the bottom two. This will be the first time that two sides in the drop zone have faced off directly since MD19 of 2017/18, when Köln (18th) beat Hamburg (17th). Hannover are winless in nine Bundesliga games (D2 L7) – they haven’t gone on a longer such run since 2014/15 (16 matches without victory). The Reds haven’t won since MD11 (2-1 against Wolfsburg). Hannover have 11 points – their worst-ever tally after 20 Bundesliga games (previously 14 in 1971/72 and 2015/16). Hannover have lost each of their last five Bundesliga home games without scoring – the longest such run in the top-flight history (same as Cottbus in 2002/03 and Hannover in 2015/16). Nürnberg drew 1-1 with Bremen last time out, having lost each of their previous six Bundesliga games. That result saw them move off the bottom for the first time since MD15. 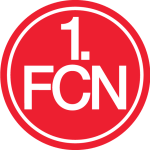 Nürnberg are on a 14-game wait for a Bundesliga victory (D4 L10) – they’ve only gone on a longer such run once (2013/14, 17 matches). Nürnberg have 12 points on the board – their worst-ever tally after 20 Bundesliga games (previously 13). Nürnberg have conceded a league-high 44 goals (level with Hannover and Stuttgart). They’ve only been worse off after 20 Bundesliga games on two occasions: 1981/82 (46) and 1983/84 (47).